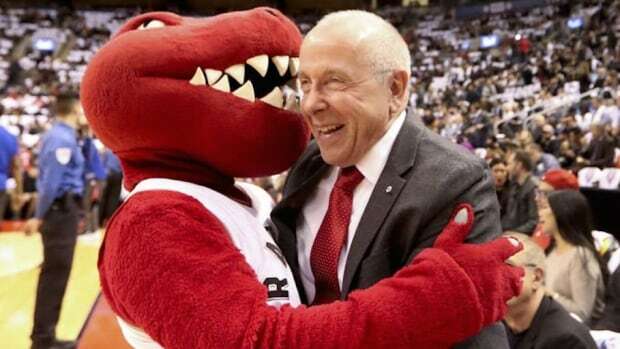 Toronto Raptors governor Larry Tanenbaum was elected chairman of the NBA Board of Governors on Thursday. Tanenbaum, the longtime chairman of Maple Leaf Sports & Entertainment (MLSE), becomes the first Canadian owner to serve as chairman of the board. He succeeds Minnesota Timberwolves owner Glen Taylor, who has been chairman since April 2014. Tanenbaum, a Toronto native, has served on the NBA advisory/finance committee since 2008 and was part of the planning committee from 2000-14. He also had stints on several other committees, including labour relations and expansion/realignment. Tanenbaum has been governor of the Raptors since 1998 and holds the same title with the NHL’s Toronto Maple Leafs and MLS’s Toronto FC. Tanenbaum has seen the Raptors make the playoffs in the last four years and reach a franchise-record 56 victories in 2015-16.